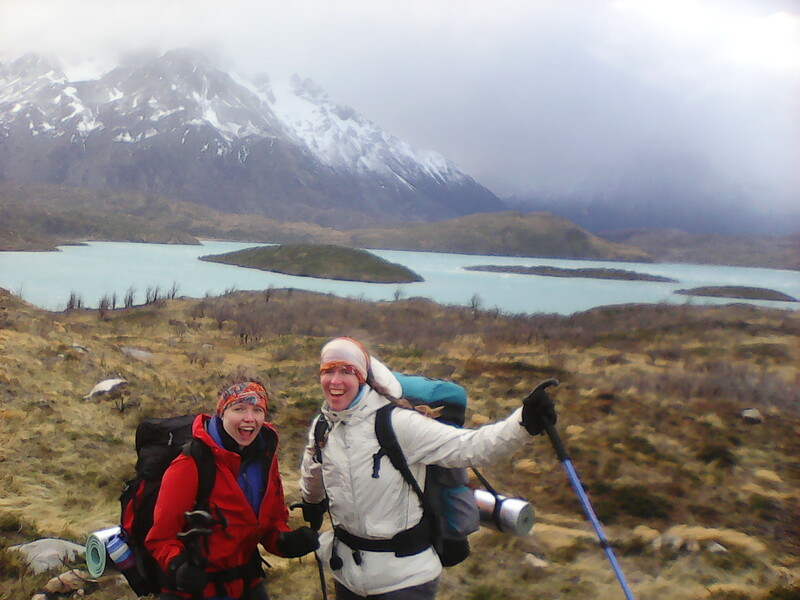 This was my second trip to Puerto Natales with Susan, and this time we were determined to do some outdoor activities! 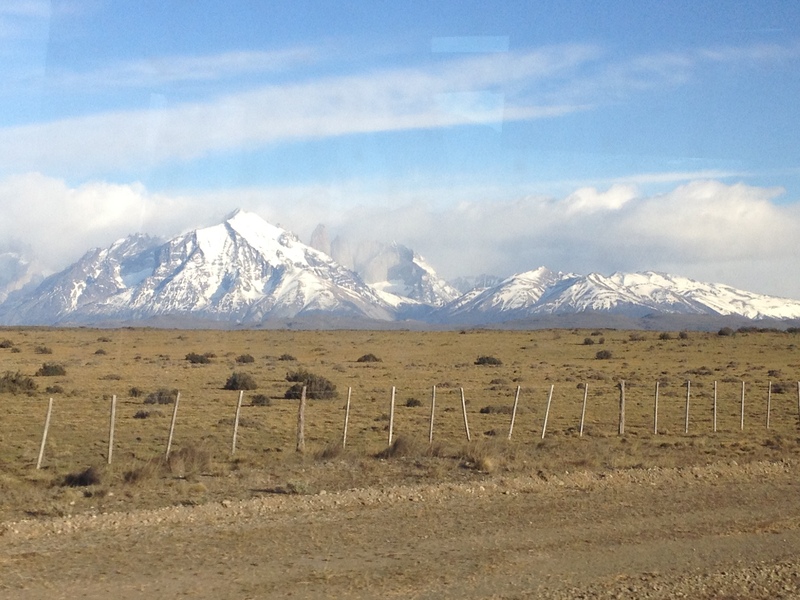 After visiting a school in the city, we headed to the famous Torres del Paine National Park to do some trekking. For us this was a sort of practice for when we finish teaching in December, as both of us want to explore more of this beautiful country and trekking is a great way to do that. I’ve done plenty of day hikes in my life, but overnight expeditions where you have to carry all your kit have been few and far between. I did my Duke of Edinburgh Awards as a teenager, and a guided expedition to the Himalayas but that was many years ago. We only had a weekend free so our options were limited – the most popular walk, the “W”, takes 4-5 days – and a lot of the usual services were shut as it was low season (like that useful catamaran and the afternoon bus…). 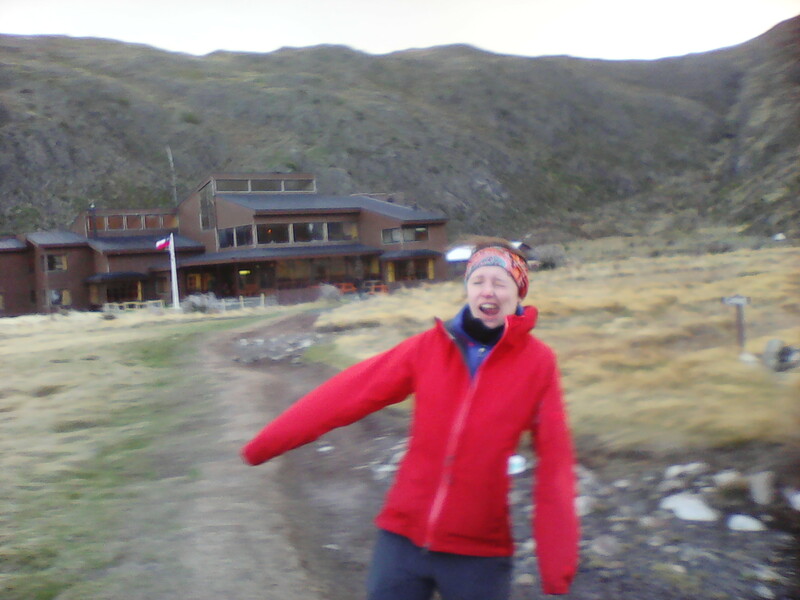 We ended up walking to the Paine Grande camp site, staying overnight and then heading back in time to catch the evening bus back to Punta Arenas. Most of our kit was borrowed, and we figured if we can survive this short stint with very old kit then we’ll be fine when we do it with our own new equipment! 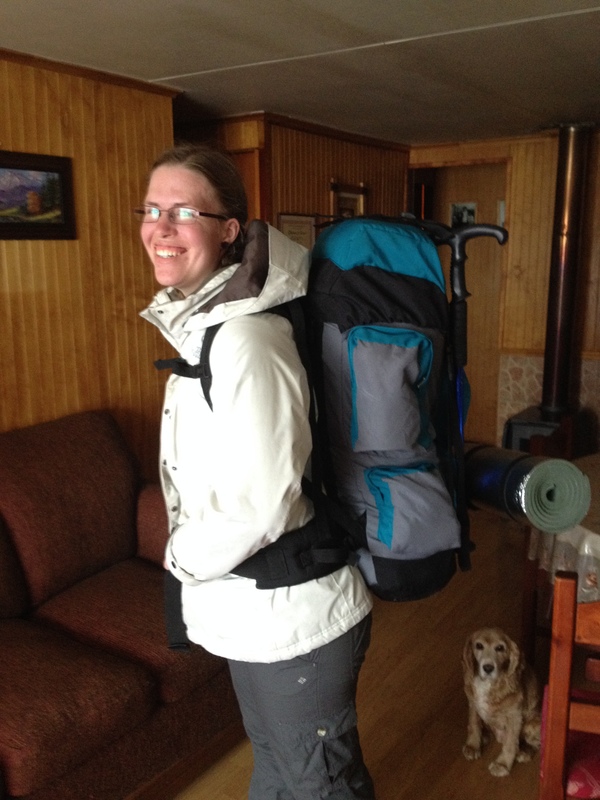 After sourcing everything we needed from various friends we packed our bags and were ready to go. We attempted to hitch there after school on Friday, but information and advice was very mixed so we ended up getting a bus to somewhere we didn’t really want to be, where no cars were going in to the park. Luckily, hitching back to the town was easy enough! It was a long journey to get there as we had a break on the way, and we also had to register our entry at one administration centre before moving on to our starting point on the other side of the park. 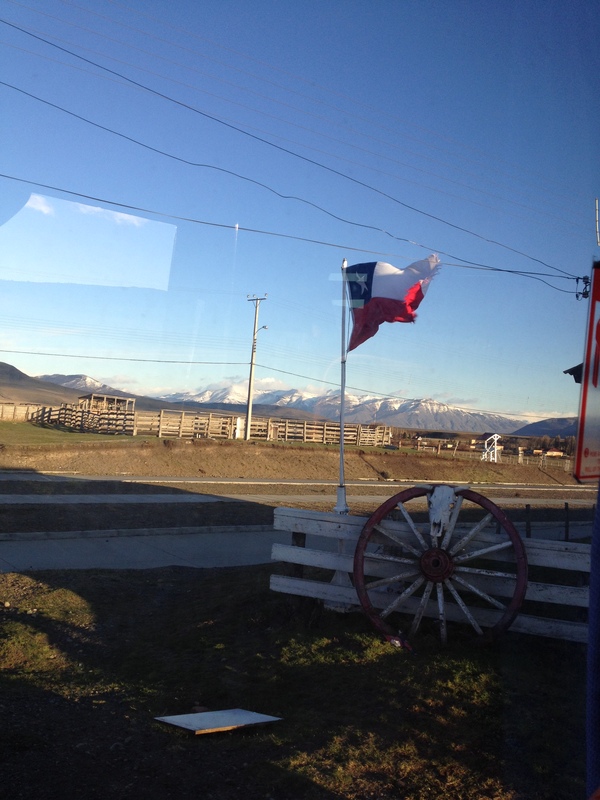 After being charged a ridiculous amount for the bus to get there, it felt great being able to pay the Chilean price for entry! …but they don’t last too long with the non-stop wind!! Once we finally set off, we learnt what it really meant to walk in the wind. The first hour and half was in flat open ground which didn’t have much of a view, not that we’d be able to see it anyway. Our heads were down, forcing our bodies to keep walking against the wind. Walking with a huge pack was a first time for Susan and it’s been quite a while for me, so pretty much as soon as we set off our bodies were complaining. It wasn’t raining, but the driving force of the wind meant all the fog got us absolutely soaked on our front, but the bags on our back were completely dry! 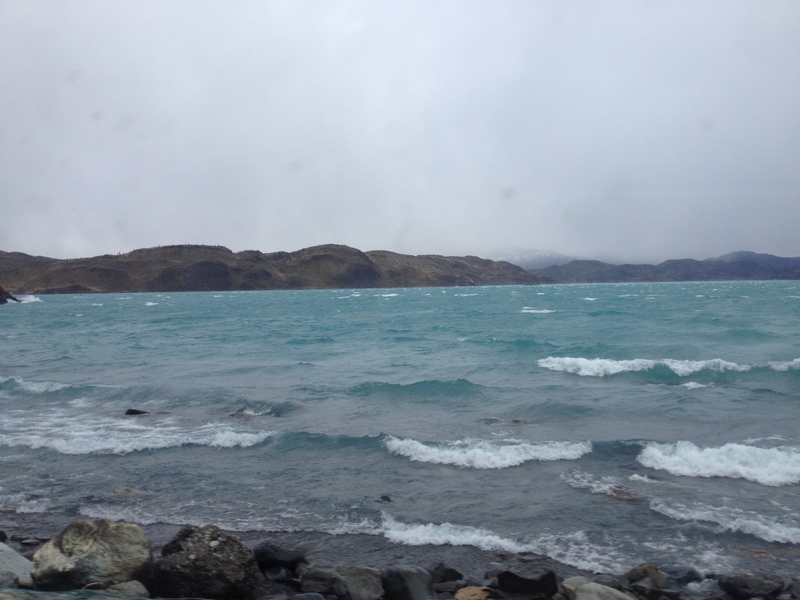 The lakes around here have waves, and a lot of them. You can see incredible swirls coming out of the water as the wind manipulates it, something my cheap phone camera just can’t capture. 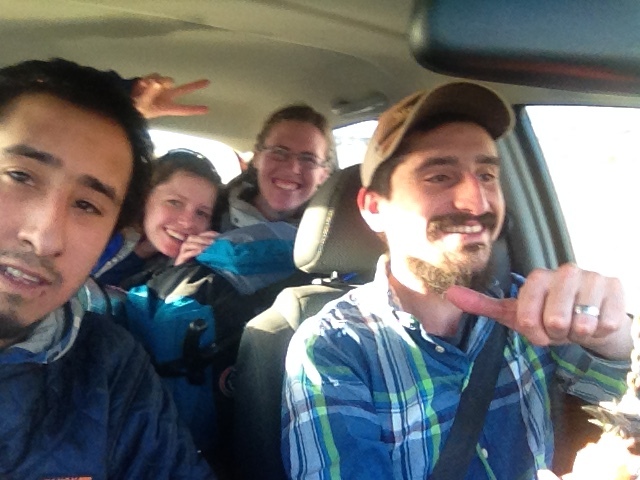 After a break at a shelter we set off again for the next leg – “3” hours to our camp for the night. 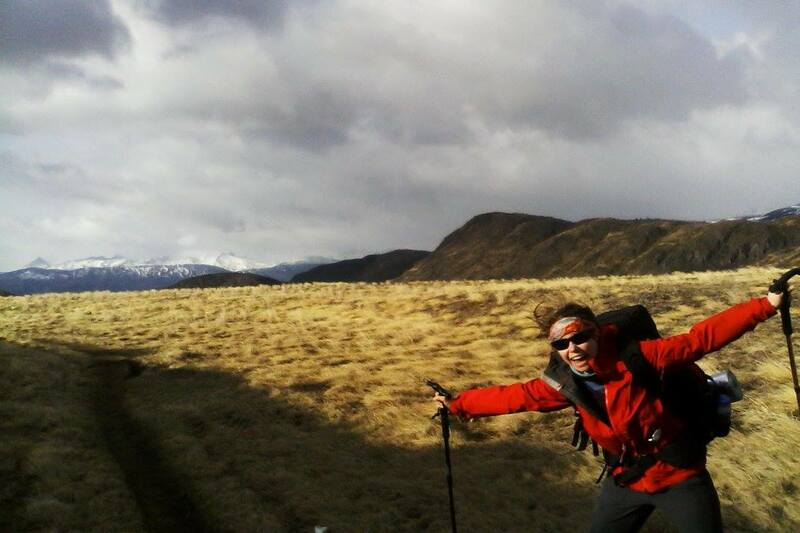 The terrain would get a bit bumpier so we decided to give the trekking poles a go – I don’t usually use them but a friend had lent them saying we’d need them because of the wind. I’ve always avoided poles in the past because I feel like a bit of a baby giraffe – I suddenly have 4 legs and no hands to hold on to anything if I fall! On top of that I had my winter mittens on to save my hands from the biting wind. The second leg was supposed to be 3 hours but it took us longer – nearly 4, with a short stop – so it was a relief when we finally arrived. 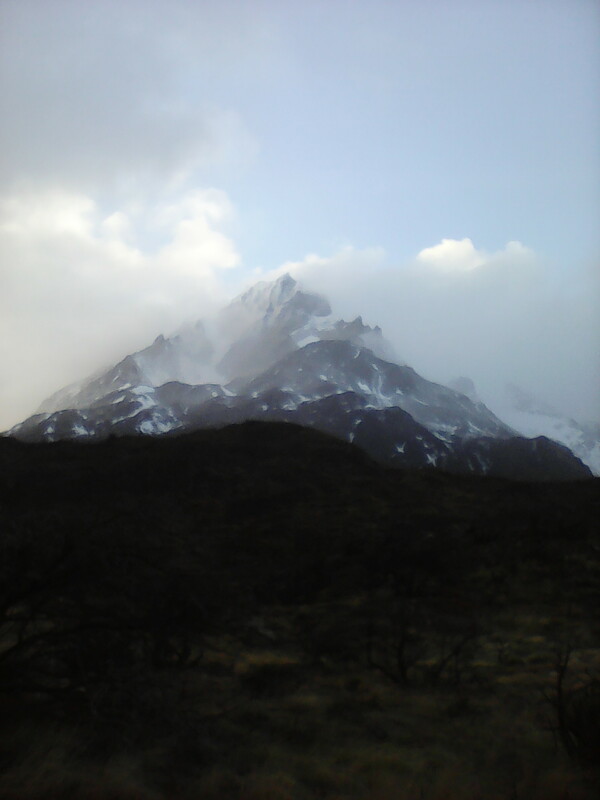 The whole time we’d been battling the wind, with the huge mountain looming over us as we got closer, but in and out of view with the changing fog. A great view of a stunning lake meant the beginning of the end – much hillier which was not what we wanted on our aching bodies. 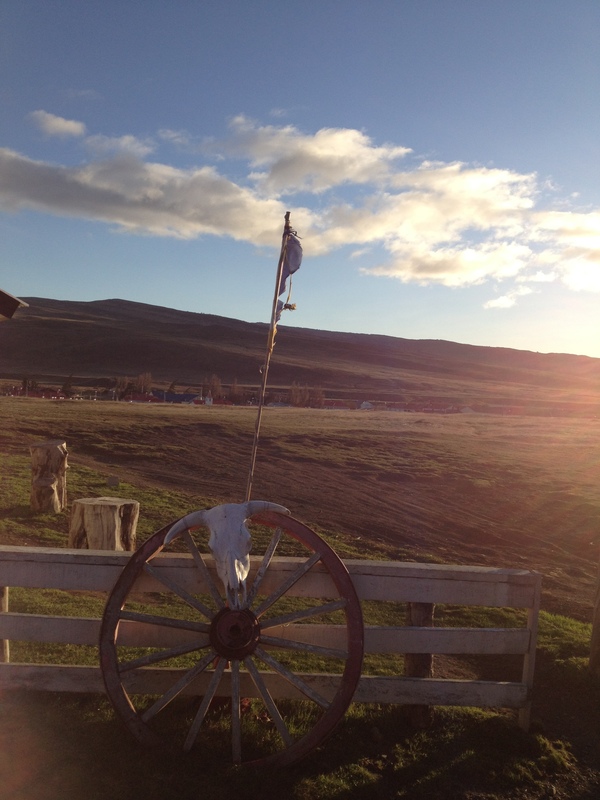 The view was a lot nicer and the terrain made it a lot more interesting. Rounding the last corner we were relieved to see our camping spot for the night, right next to a huge hostel. The feeling of being in the middle of nowhere – after walking for five a half hours – kinda just disappeared once we saw that building. However the bonus of the building meant we had somewhere out of the wind to cook our food and also somewhere to hang out that wasn’t squished inside a small tent. Two sides of the dining area were huge windows, so we could enjoy the view without feeling the cold. The next morning we packed everything up and made our way back along the same route. The more difficult terrain was easier the next day as it was the first part of the route back. This meant it was flatter ground for the rest of the walk, and we actually got to see the view that was behind us on the way in. The wind was easier to deal with, mostly pushing us from behind, but it was so strong that you still had to brace yourself every now and then. 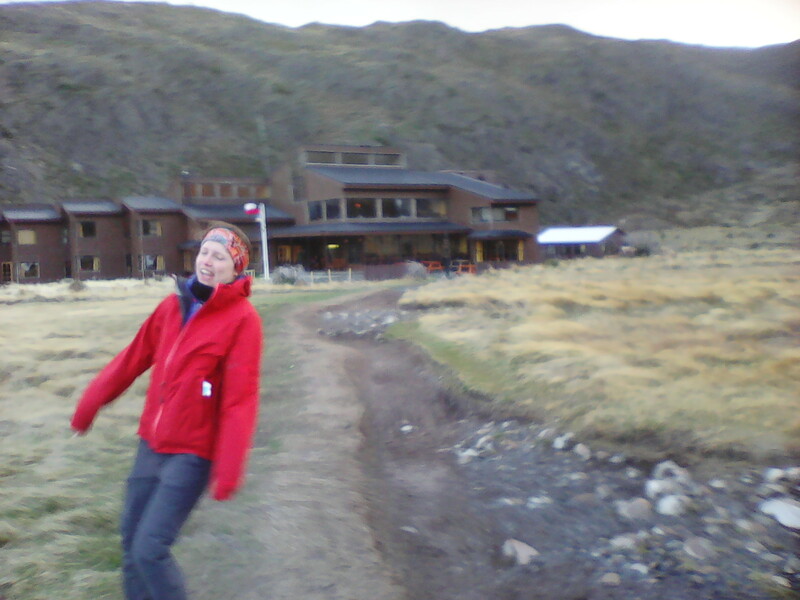 Even keeping the camera steady in the wind was a challenge! We slightly cheated the last thirty minutes by getting a lift from a park ranger who was on his way back to the administration centre, but we didn’t feel at all bad because we were tired, and it was the more boring flat near the road anyway. Arriving a bit earlier meant the bus left earlier (as we were last to leave the campsite!) 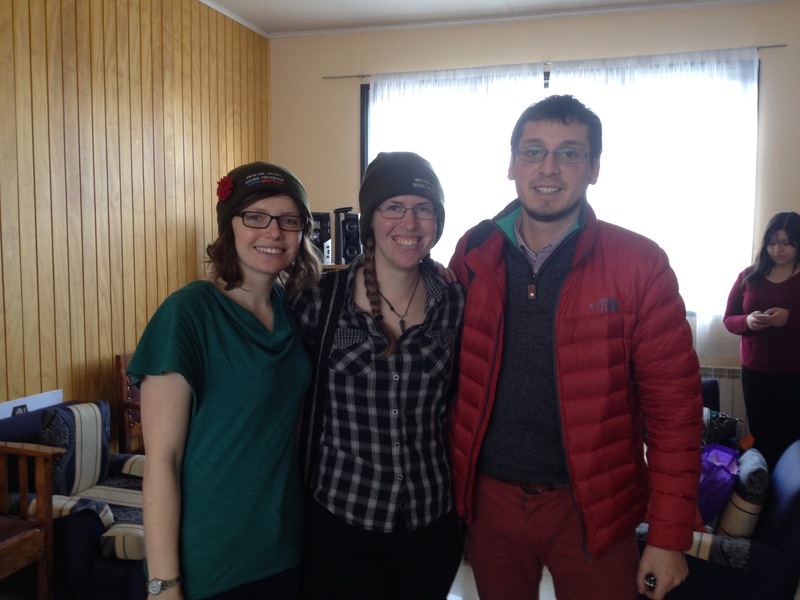 so when we arrived in Puerto Natales we had time for a cup of tea at our friend’s house before getting our coach back home to Punta Arenas. Visiting a school and seeing all classes in 2 days was like teaching combined with speed dating! Overall it was a nice little trip to break up the usual school routine – we spent two days visiting a school before heading off on a mini-adventure to see what all this trekking malarkey was about. 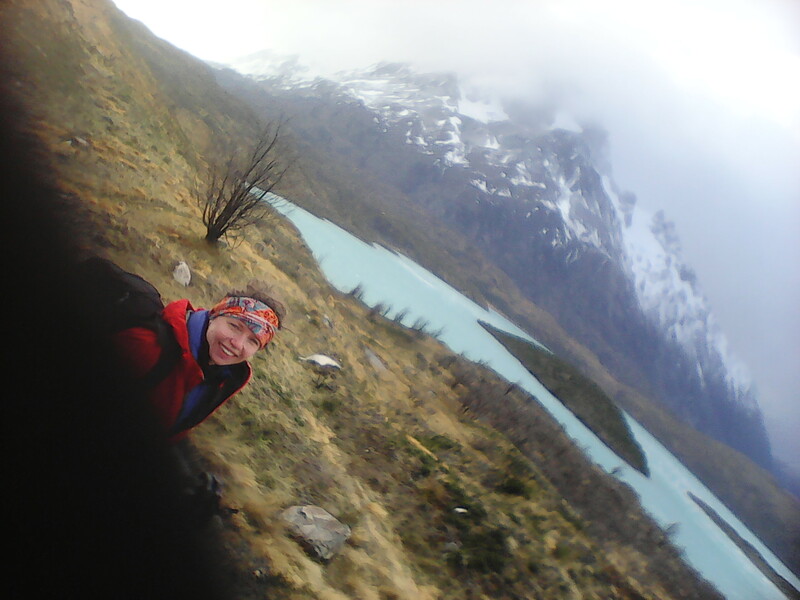 We’ve heard from many people that Torres del Paine is a great place for first timers who are new to multi-day treks and after visiting I can see why. The paths are well marked, the administration helps keep track of where you are, there are various refugios (mountain hostels) so you can have creature comforts, and there’s people around to give you advice or just chat. We had most of the trail to ourselves but the refugio was busier, and I imagine in high season the trails are a lot busier too.